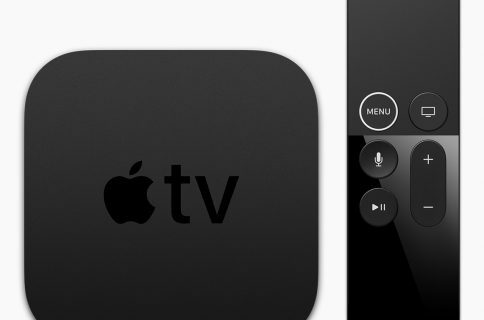 Apple has added a new channel to its $99 media-streaming box, the Apple TV. The Red Bull TV action sports channel should be now available on everyone’s Home screen (if not, manually check for updates by going to Settings > General > Software Updates and choosing Update Software). 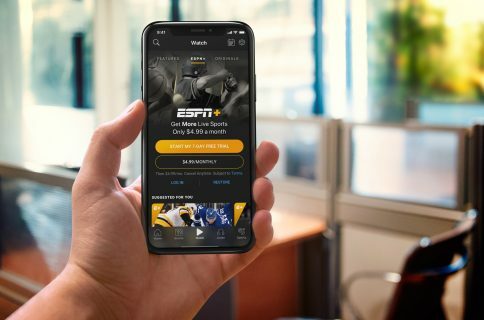 As seen on the screenie top of post provided by MacRumors, fans of action sports and Red Bull now have plenty of reasons to tune in to Red Bull TV via their Apple TV. In addition to live programming, archive footage, music and videos of global Red Bull events, the channel offers on-demand HD video, curated playlists for continuous play and lots more. All content is available worldwide and free of charge, no subscription required whatsoever. Red Bull TV launched in 2010 as an “inspirational entertainment programming” designed to promote the beverage and its high-action brand image, The Variety reports. In 2014, live programming on Red Bull TV will expand to include coverage of third-party events on the World Snowboard Tour, including the Burton European and U.S. Open. The lineup also will include Red Bull-produced events such as Red Bull Rampage, featuring free-ride mountain bikers racing on a near-vertical sandstone ridge near Virgin, Utah. 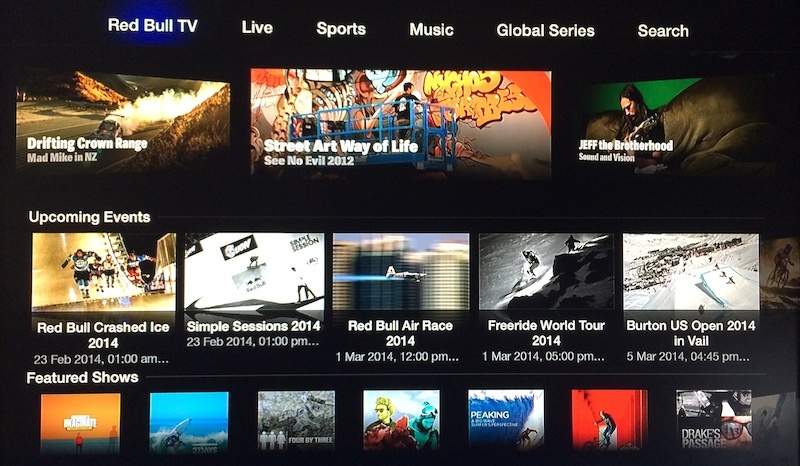 Apple’s been adding a lot of new content sources to the Apple TV in 2013. 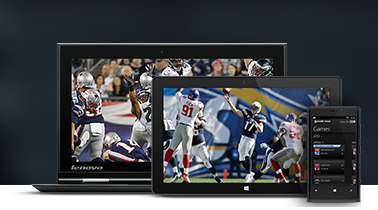 Just in December 2013, such channels as Watch ABC, Bloomberg, Crackle and KORTV have been added, on top of the previous additions like Yahoo Sports, PBS, Sky Sports and many more.